Despite what seems like endless summers in southeast Louisiana, our cold weather can still make you miserable. Some people say it’s the humidity. Others say it’s the giant up and down temperature swings in the winter and spring. No matter which issue bothers you more, the fact is that even here in metro New Orleans, having a furnace & heating system that is operating at optimal capacity is a “must have” for staying comfortable year round. Benfatti Air Conditioning and Heating has been keeping metro New Orleans residents warm and cozy since 1989. We offer professional furnace and heating system maintenance, repair and installation in Slidell, Covington, Mandeville and metro New Orleans. The best part? We’re here when YOU need us most. Same Day Service. Seven Days a Week! Metro New Orleans Homes Still Need Furnaces & Heating! In St. Tammany Parish which borders Lake Pontchartrain, things aren’t much different than the rest of metro New Orleans. But if you live in St. Tammany Parish towns like Slidell, Covington or Mandeville, winters are ever so slightly cooler – and can dip at or below freezing at night. If you live on the Southshore in the greater New Orleans area, the lake generally keeps you a little warmer in the winter. But it can still get chilly and you never escape the humidity! Also, many homes in our area are older and may have less insulation than modern ones to keep you and your family warm during the cold winter nights. You have air conditioning for the hot, humid summers, wouldn’t you want a furnace for when it gets cold? And if you’re a small business such as a restaurant or doctor’s office, a furnace is essential to keeping your patrons comfortable year-round. As one of the top providers of Trane products in the metro New Orleans and Northshore areas, we are proud to offer Trane natural gas furnace installations for your home or small business. Natural gas furnaces work with central heating and air conditioning systems by heating air passing through the system, which then spreads throughout the home through a series of ducts and vents. 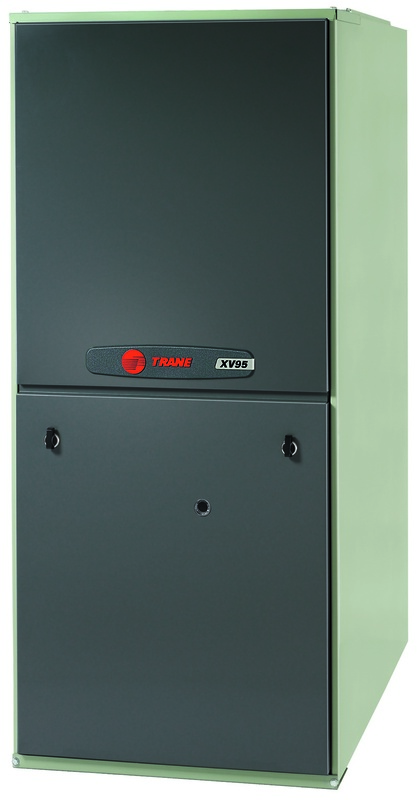 We offer environmentally friendly Trane furnaces with the double benefit of being more cost-efficient. This makes your heating bills low throughout the year. Note, though, that your home must have access to a natural gas line for a natural gas Trane system to function. Before we install your new furnace, we will conduct with you an eight-part comfort care assessment to ensure we’ve got the right system picked out for you. We will ask you about whether any rooms seem colder than others; any issues you have with your existing HVAC systems in the building; and find out what you consider to be the optimal temperature for your building. This information will also help us better serve you when it comes time to installing your furnace and integrating it with your home’s existing systems. After we install your furnace, we don’t just disappear! You can count on our technicians to ensure your new furnace meets your expectations. If you find yourself without heat, we dispatch our technicians within a day to check on your furnace. Our technician will ask you questions about when the heat stopped working and any other details that will help him or her diagnose the problem. And before any repairs take place, you will be told the estimated cost – there are no surprises with our repair services. Our technicians will also discuss a regular maintenance schedule for your new or existing furnace based on the furnace model’s specifications. If you have any questions after your new furnace is installed, we are just a phone call away. Our dispatchers can write down any problems you are having and work with you on setting up an appointment to get your problem addressed. At family-owned Benfatti Air Conditioning and Heating, we pride ourselves in delivering the highest level of service while keeping your home clean and equipment in top working order. We’re here when you need us with same day service, seven days a week. With more than 25 years of experience and our commitment to quality, don’t spend another night in the cold. Contact us today! I have used Benfatti Air Conditioning for many years. They are a first class business with outstanding service.